Please enter monogram exactly as you would it to appear. For traditional monograms, please enter initials as FIRST-LAST-MIDDLE/MAIDEN. All items will be monogrammed exactly as entered. 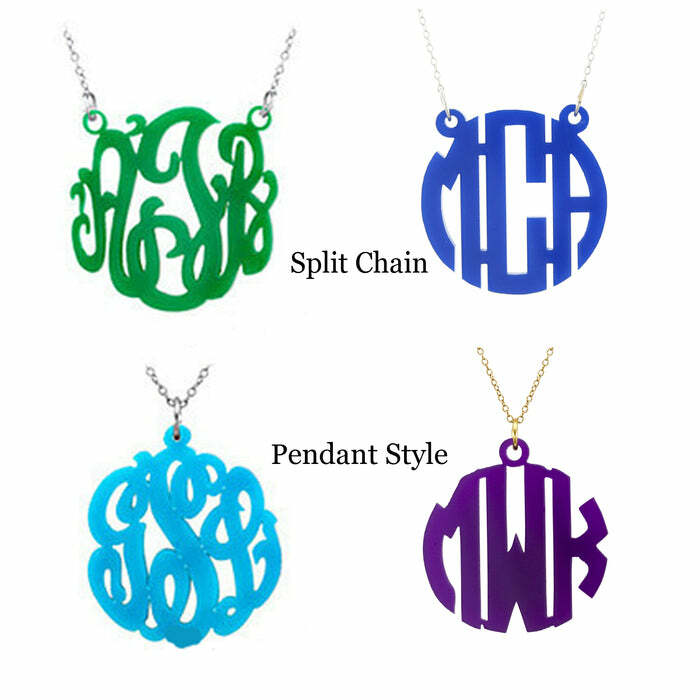 Brighten up your outfit with a colored Acrylic Monogram Necklace! Choose a pendant or split chain style, sterling silver or gold filled adjustable 16-18" chain, and Small (1" ) Medium (1-1/2" ) or Large (2"). Each monogram is cut in an elegant Block style. 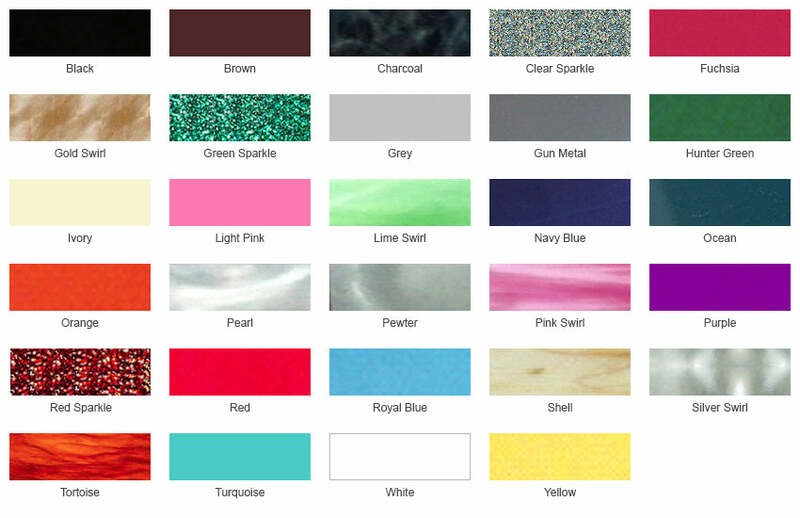 With so many different colors to choose from the options are endless.